This route is rather easy even though there are some slippery slopes. 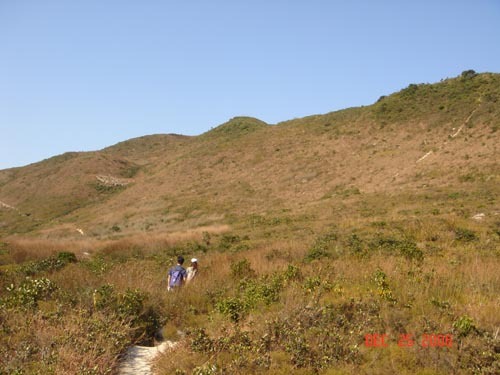 The view is very good because Tai Cham Koi is the tallest hill in its vicinity. It is a good route for a relaxing afternoon. Easy transportation and unbeatable view. 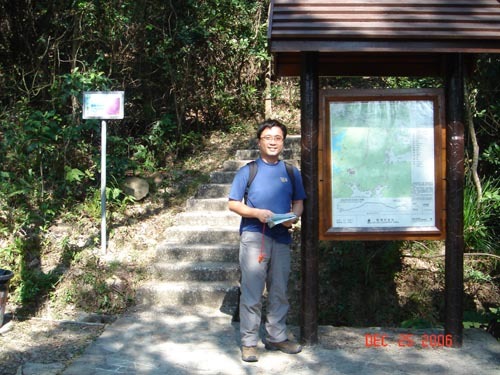 This is the starting point which is right on the Sai Kung Sai Wan Road. 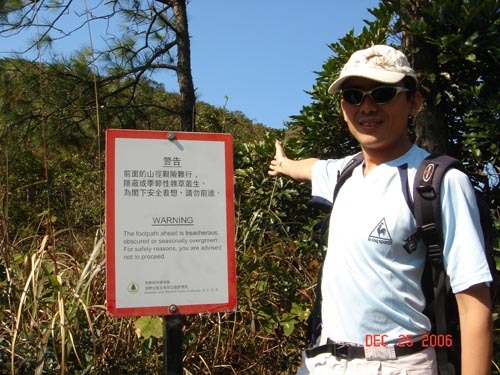 After some steps, we need to turn left to leave the Luk Wu Hiking Trail. At some point, the foot path look pretty confusing. 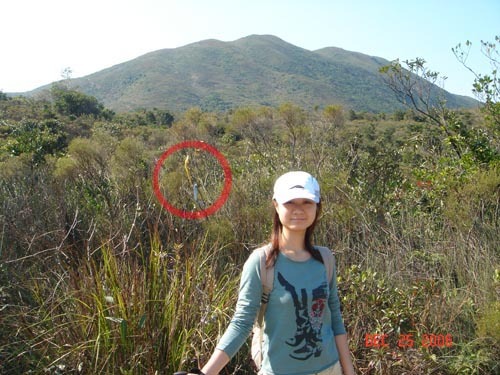 Don't worry, just following ribbons (circled in the picture) to head towards the direction of Tin Mei Shan. 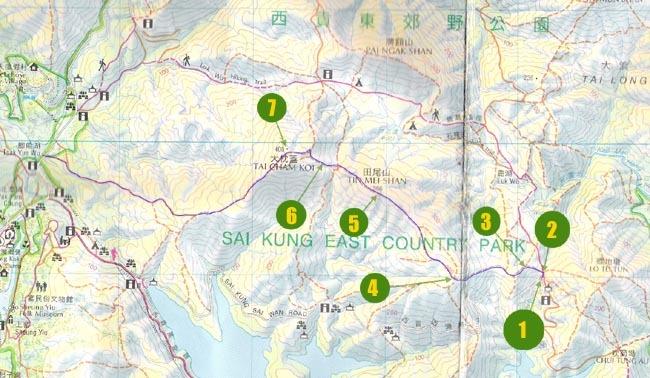 We are now in the south heel of Tin Mei Shan. The paths on left and right are both okay. 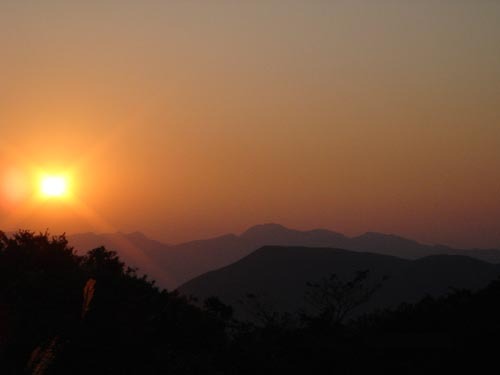 We are on the top of Tin Mei Shan. There are some haze and whistling wind. 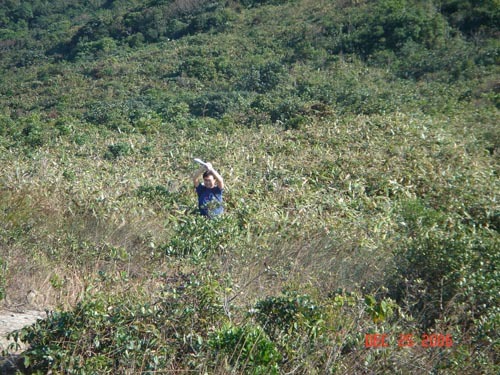 Moving through bushes on the way to Tai Cham Koi top. 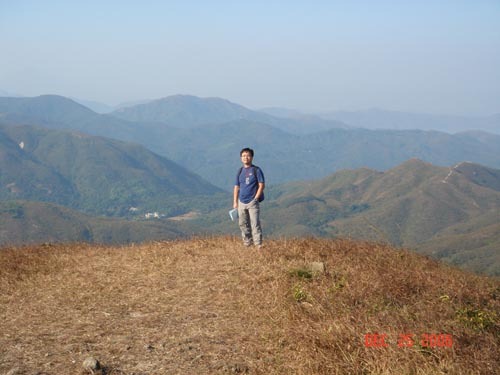 On the top of Tai Cham Koi.